Makar Sankranti is one of the most important and auspicious days for Hindus. It is celebrated all over over India and also in Nepal in the Hindu calendar month of Magha. It takes place on January 14 every year. 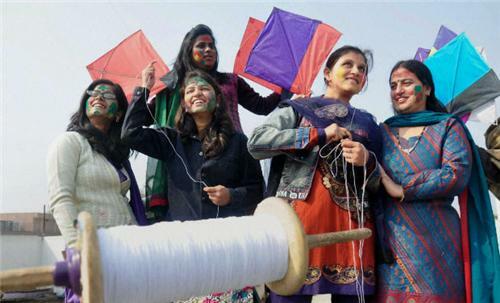 Makar Sankranti is perhaps the only Indian festival whose date falls on the same day every year. This is because the festival date is based on the Solar calendar unlike the other Indian festivals which follow the Lunar calendar. In Maharashtra, the festival is celebrated on January 10 or 14. People in Pune and Ratnagiri districts celebrate it on January 10 according to the Tilak almanac brought forth by Lokmanya Tilak. All other places celebrate the festival on January 14. Makar Sankranti marks the beginning of the Northward journey of the sun, literally Makar means Capricorn and Sankranta means the change of the Sun’s abode from one zodiac sign to another. Though, this happens every month, the significance of Makar Sankranti marks the end of the southward movement of the sun (Dakshinayana) and the commencement of its northward journey (Uttarayana). The sun enters the Makar Rashi or the Capricorn sign on this day. It also coincides with the commencement of the harvest year in India. It is a time of abundance as the farmers are in good mood after a good harvest. It is an auspicious occasion for the Hindus because they believe that the Sun stands for knowledge and wisdom, spiritual light and insight. Sun is considered a God who dispels darkness and brings radiant light into life and earth. According to the solar calendar it holds significance as the day and night is of exactly equal duration. For the people in the northern hemisphere, this is a period when the sun is coming closer to them. This signifies the days will be longer and warmer after Makar Sankranti. Although the fast-paced modern life in Metropolitan cities has changed over the years, people have still managed to retain the traditional fervor. Traditionally, in Maharashtra, the day begins with bathing in water filled with sesame seeds. Married women celebrate wedded life by anointing each other with scented waters, exchanging turmeric and vermillion and enjoying the haldi kunku. Married women also exchange Sugad which are earthen clay pots containing sugarcane sticks, berries, carrot pieces, puffed rice, turmeric, cloth and cotton. Five married women distribute five Sugads to five other married women. This is one of those festivals where the color black is worn without disapproval as it signifies the end of the black period and the welcoming of a happy, new time. Maharashtrian women wear a special black saree called the Chandrakala which is embossed with starsand and small crescent moons. Another reason for wearing black is because Sankranti comes at the peak of the winter and wearing black helps to absorb heat and keep the body warm. Halwyache daagine or ornaments made out of halwa (a sweet pudding of sugar-coated sesame) are offered to the newly wed bride at the traditional Sunache Tilavan which is the first welcome to the daughter-in-law. Bornahan is organised for babies less than a year old which involves the baby s first bath with ber or pieces of sugarcane, rice and sweets and welcomes the first spring of his/her life. Women and children go to the house of the baby and anoint him/her with amla (Indian gooseberry) and bor (a small red fruit). The best food items during the festival are til gul which consists of sesame and jaggery – both symbols of prosperity and gulaachi poli/bhakri (round thick rotis made of sesame and jaggery dusted with sesame and crowned with butter. Other food items like Bajra Khichdi, curd rice, til gajak, kurmure laddoo and payesh. Since Makar Sankranti also marks the beginning of the harvest festival in Maharashtra and all over India, it is celebrated by flying kites, taking a dip in the holy waters of river Ganga or Yamuna, a bath with sesame oil, worshipping ancestors with a sesame oil lamp and exchanging til guls. A dip or bath signifies self purification and gaining ‘punya’ (blessing). Special puja is also offered as a thanksgiving for a good harvest. According to folklore, any boy or girl who takes a dip into the holy waters are blessed with good looking and charming partner. It is believed that whatever you give away with a good and pure heart on this day will be returned to you in abundance in this life or the next by the Sun God. In Maharashtra, people exchange til guls or tilache ladoo and greet each other saying til-gul ghya, god god bola which means accept these sweets, and speak sweet words. The underlying thought is to let go off any harsh feelings towards each other and resolve to speak lovingly and remain friends. It is a sign of goodwill and friendship. The offering of tilguls on this day symbolizes one s soul should be as tender as the sesame seed and one’s voice should like sweet like jaggery. It stands for love for each other, respect for one’s elders and affection for one’s neighbors. One of the health benefits of applying the sesame oil is warmth to the body. This also signifies warmth and affection in expressing one s thoughts, words and deeds. 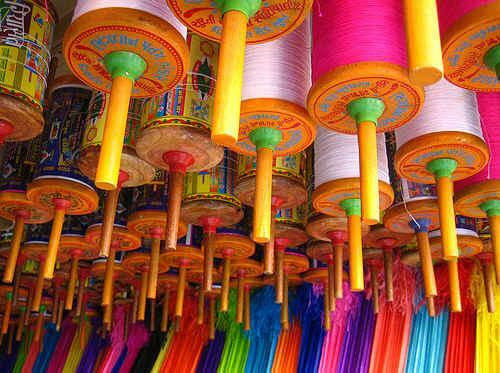 This festival is also celebrated by flying kites. There is a colorful display of kites flying high in the sky. Competitions are held to bet on whose kite flies the highest and the longest. Every region in Maharashtra has a specific custom associated with Makar Sankranti and its roots can be traced back to the harvest and the farming season. In Maharashtra, it is the season of the first sugarcane harvest. Sugar canes are ready to be made into jaggery and therefore, jaggery is seen in all sweets prepared during this period. The origin of the festival can be traced back to the times of the Aryans when people prayed for the warmth of the sun during the cold and harsh winter days. According to the religious texts the Puranas, Surya (Sun) visits the home of his son Shani (Santurn) on this who is the Lord of the Makar Rashi (Zodiac Capricorn). Though the father and son do not get along very well, the Sun God makes it a point to visit his son on the same day every year. He, in fact, visits and stays for a month. Thus this day symbolizes the important of the father-son relationship. Another legend has it that Bhishma, the war hero of the Mahabharatas, finally chose to leave the mortal body on this day while lying on a bed of arrows for over a month.